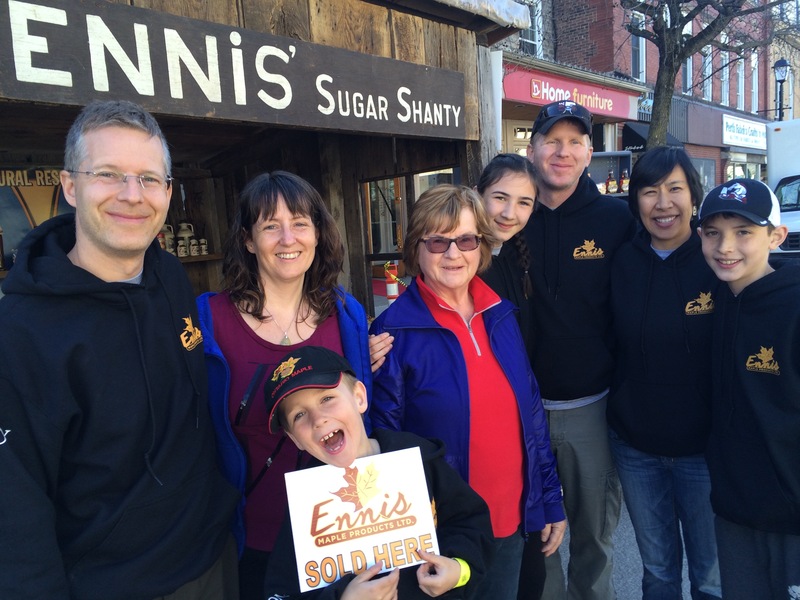 Welcome to Ennis Maple Products! Nothing says SPRING IS HERE!!! like the smell of boiling Ontario maple syrup! 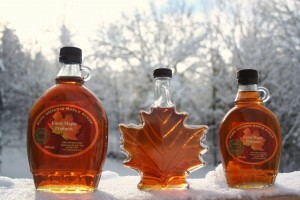 We produce the best tasting, pure Ontario maple syrup from the rocky hills of Tay Valley Township. Try it and you’ll be hooked! Our family has been farming on the eastern shores of Bennett Lake in Lanark County, Ontario since the 1860’s. A lot has changed since our Irish ancestors immigrated but the honest, hard working attitude remains the same! We now have approximately 4,300 taps connected to over 30km of tubing on vacuum and a 600 GPH Reverse Osmosis machine but we are still ALL WOOD FIRED -The Old Fashioned Way! Marty & Andy, with a lot of help from our family and friends, are the 4th generation in the Ennis family to make maple syrup on the property over the past century. Click on the tabs above to learn more about our family and how we make our delicious maple products. Our syrup is available in the Perth area directly from the farm (contact Karen) or at Balderson Village Cheese or Foodsmiths; in Toronto through Marty, or; in Ottawa through Andy. Why Buy Pure Ontario Maple Syrup? 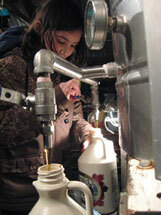 100% pure Ontario maple syrup is local – meaning it takes less energy to get it from our farm to your fridge. Local farmers need our support and ensuring it says “Product of Ontario” helps us to keep working our family farms so we can help feed your family! Maple syrup contains more nutrition in the form of minerals and vitamins than all other common sweeteners. 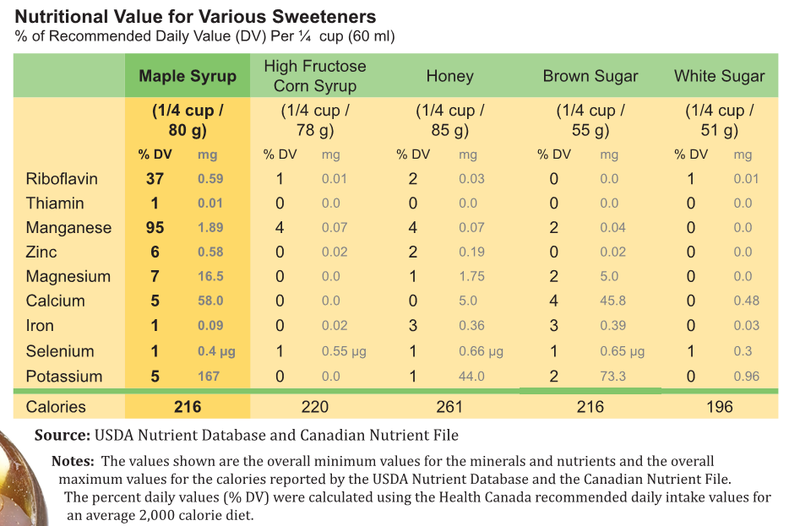 Below is a table comparing maple syrup to other sweeteners. The link below is to the full information card. Our maple syrup was recently featured on CTV Ottawa’s Morning Show by Two Guys for Lunch, one of the local restaurants that uses our syrup as part of their breakfast menu. The jug of syrup is featured throughout the clip and the name drop is about the 3-minute mark. We love when people enjoy our maple products! Maple Syrup from Lanark County (that’s us!!!) was recently named the Top Food to Eat in Ontario by National Geographic!